Smartphone maker BlackBerry on Thursday announced easy monthly instalment (EMI) schemes for its two models – BlackBerry Z10 and BlackBerry Curve 9220 – starting this weekend. “Customers can now buy the BlackBerry Z10 via their credit cards by paying an EMI of Rs 4,799 per month for nine months,” BlackBerry said in a statement. 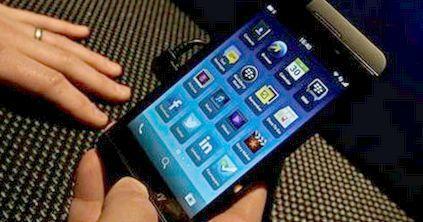 The smartphone model is available in price range of Rs 35,000 to Rs 43,500 in the Indian market. This model is available in Indian market in the price range of Rs 8,499 to Rs Rs 9,999. The company said both the schemes can be availed at zero down payment, without any processing fee and zero interest at 3,000 out of around 5,000 BlackBerry outlets across the country. BlackBerry has partnered with Idea Cellular to offer a 1 GB per month data (mobile Internet plan) plan on Curve 9220 for annual charge of Rs 999 in 8 circles which include Mumbai, Delhi, Kolkata, Chennai, Maharashtra, Karnataka, Gujarat and Andhra Pradesh, the statement said. Share the post "BlackBerry Z10 and BlackBerry Curve 9220"